What can you do with all of those plastic eggs you have around your house? Do they seem to multiply? This Egg Drop activity for toddlers is a fun way to keep them all in one place! It is easy to set and just uses a few items you may already have around the house! Here's how to get started with putting together your own toddler egg drop! 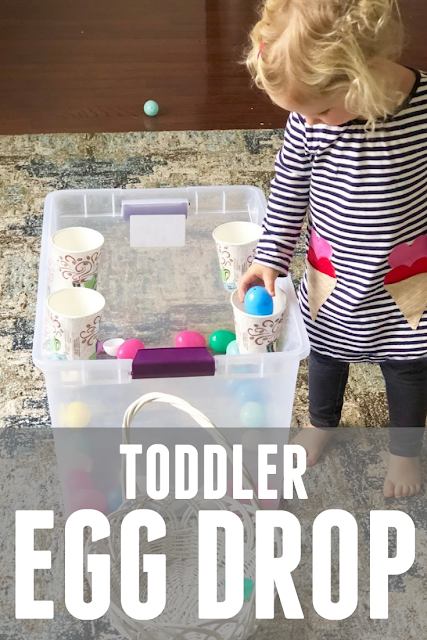 Setting up this simple egg play activity for toddlers is so easy! First, you need to cut off the bottoms of the cups. We found that styrofoam and paper cups had softer edges when cut. Next, tape the cups to the sides of the plastic bin. Make sure you take them securely so that there isn't any gaps. This will ensure that the cups stay in place. After that you are ready to play! 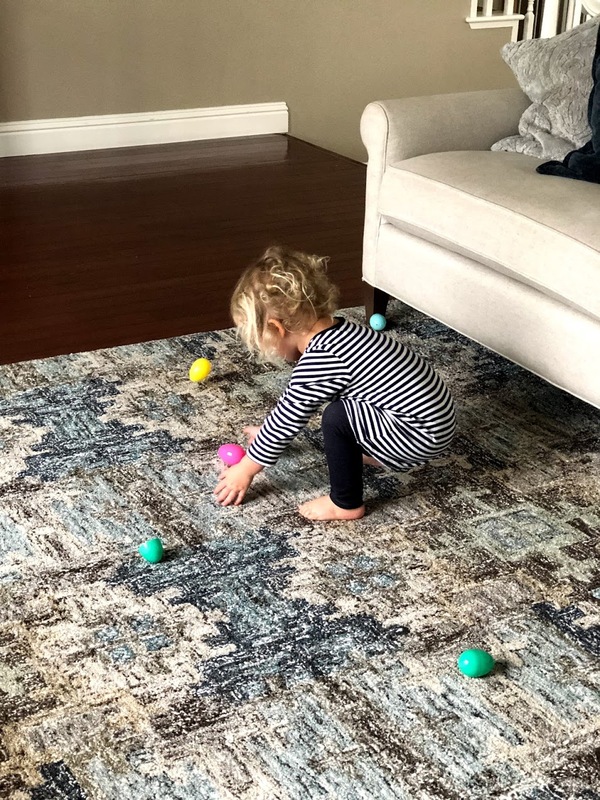 We put plastic eggs all around the house and let the toddler hunt for them! 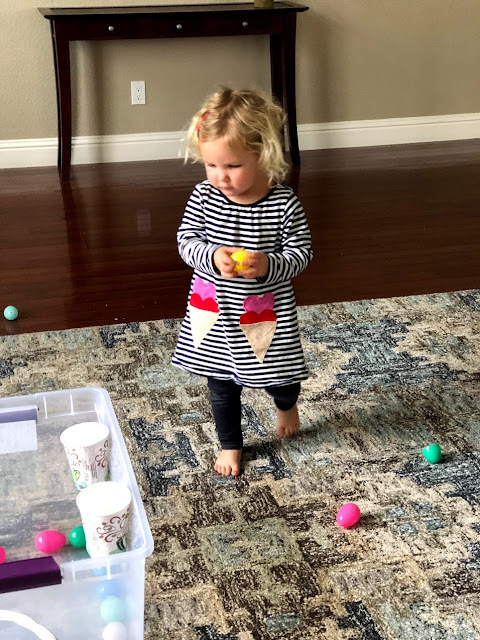 When she found them, she brought them over and dropped them down her little egg cup chutes! It was so fun! Does this activity teach anything? 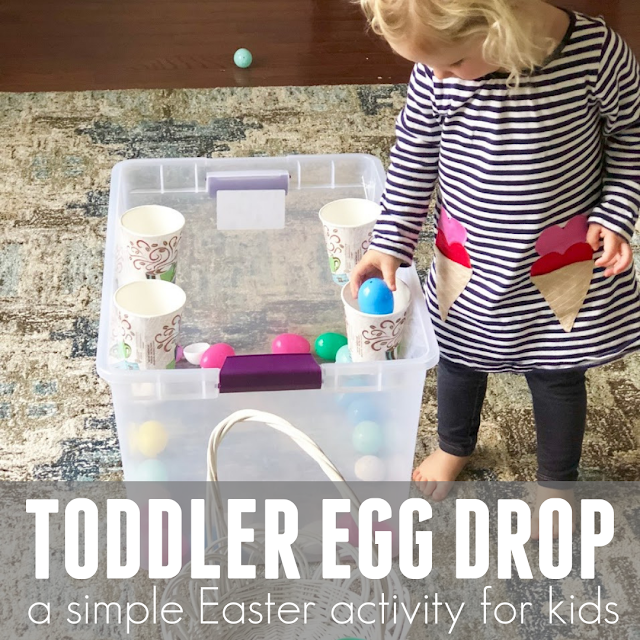 Not all toddler activities need to teach something, but this one actually has a lot of learning opportunities built into it! 1. Colors- This activity makes it easy to talk about colors! 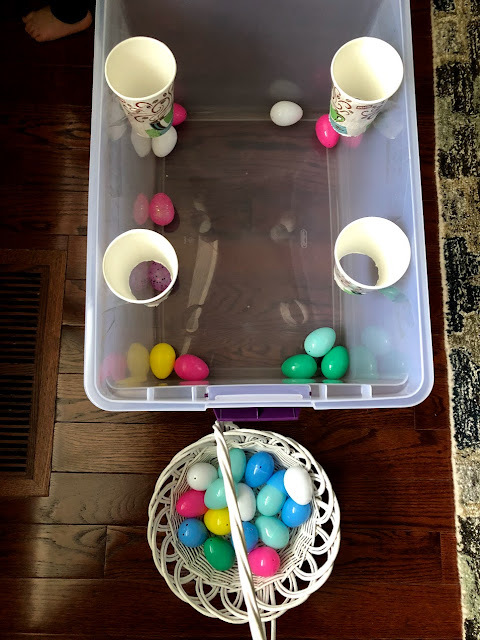 You can talk about the different egg colors while you hunt and drop them in, "Can you find a green egg?" 2. Counting- Counting is a natural activity to do as you drop the eggs into the bin! 3. Hand-Eye Coordination- You are working on this skill with your child as she is picking up the eggs and putting them in the paper cup chute. It takes some concentration and finesse to make sure they go down the chute or tunnel. 4. Vocabulary development- Words you can introduce to your child in this activity include: egg, color words, up, down, through, into tunnel, etc. Directional words can be taught easily in this activity as you play along with your child. 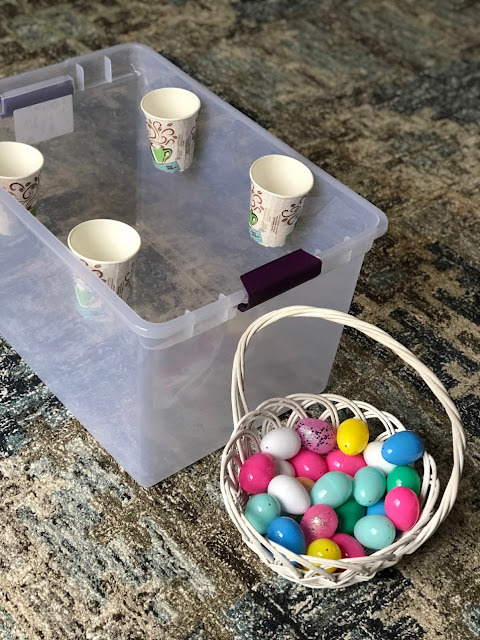 Have you tried any other Easter egg activities with your child? 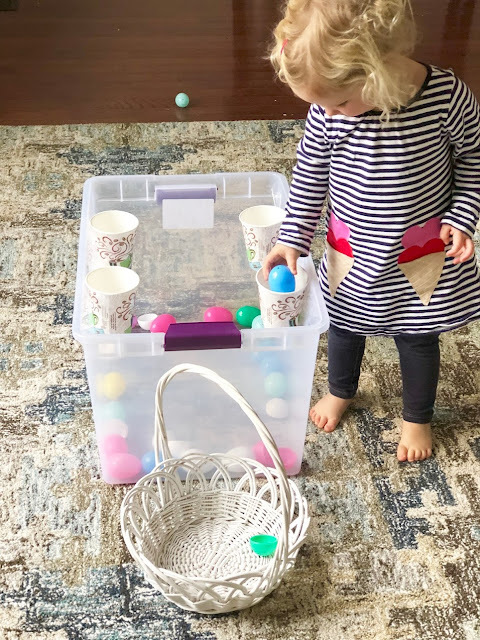 If you have a bunch of plastic eggs lying around and enjoy finding ways to use them, here are a three other Egg activities to try!